This simple painting by Lindsey Meyer hits all the bumpers. subject matter to one's imagination. When you were living in your home and planning to stay there, you hung on your walls what you and your family wanted to look at daily. Maybe you’ve displayed snapshots from your trip to the Grand Canyon, formal portraits from your wedding, posters of your favorite rock group, or framed certificates of achievement for your children’s Little League activities. Maybe you even had a framed velvet painting of Elvis. Now that your home is for sale, art becomes a way to stir buyers to action. So your mind has to run on a different track. 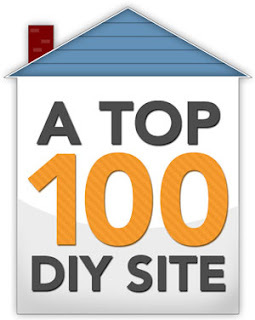 You’ll need to think like a buyer instead of an interior decorator or ordinary home owner. 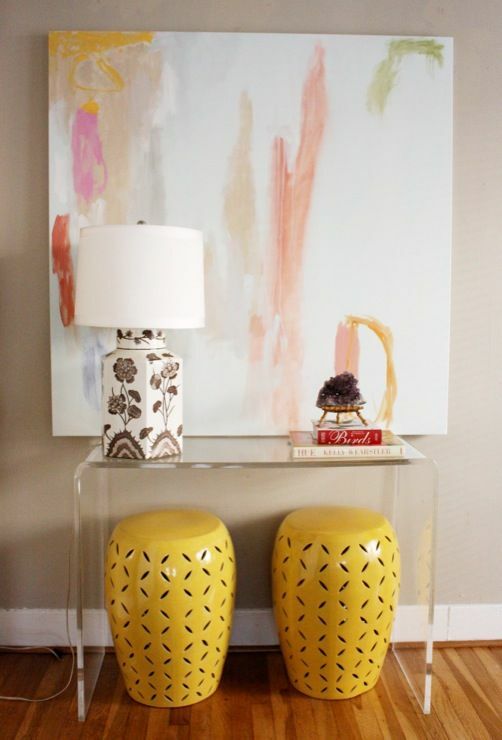 Art for staging should be large because small décor items tend to chop up a space. Buyers respond more favorably when they sense open spaces. 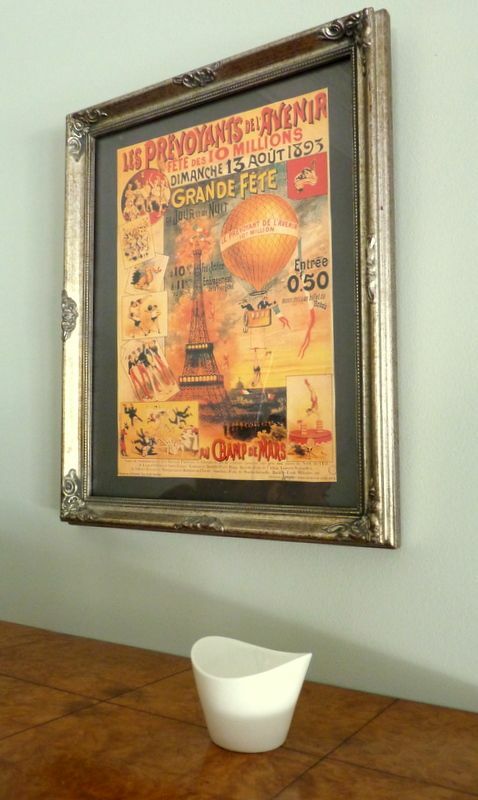 Better to leave a wall blank than to place a few small framed pictures on it. 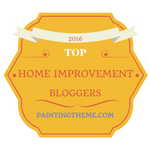 I think that hanging small art is one of the most common mistakes DIY home stagers make. You almost can't hang art that is too large. Even when part of a painting, for example, is eclipsed by a plant or vase or even a table, it's fine. This kind of simple uncluttered layering only adds depth to a room. You also want your staging art to be non-distracting. For the same reason savvy real estate agents allow the clients to enter the room first instead of leading them into each room. It’s a subtle but powerful technique. The written word is also distracting, so smart stagers limit lettered art to posters, vintage signs, or foreign language text. So instead of a framed favorite heirloom recipe or page from The Prophet, limit your wordy art to things like short slogans or labels. and therefore don't distract buyers' minds. Most of us know that offensive or controversial material used as art is never a good idea when your home is on the market. Anything that might be considered vulgar (Hello, Sports Illustrated Swimsuit Calendar) or political (a poster advertising a rally for radical cause) should be replaced with benign décor. We might also add to this category sports memorabilia and religious art or relics. People like to do business with people with whom they share values and beliefs. Don’t feel like you are not being true to your beliefs. You simply are playing by the rules of quick and profitable home sales. Every room deserves some wall décor! Don’t be shy about dressing your home to take it to market. 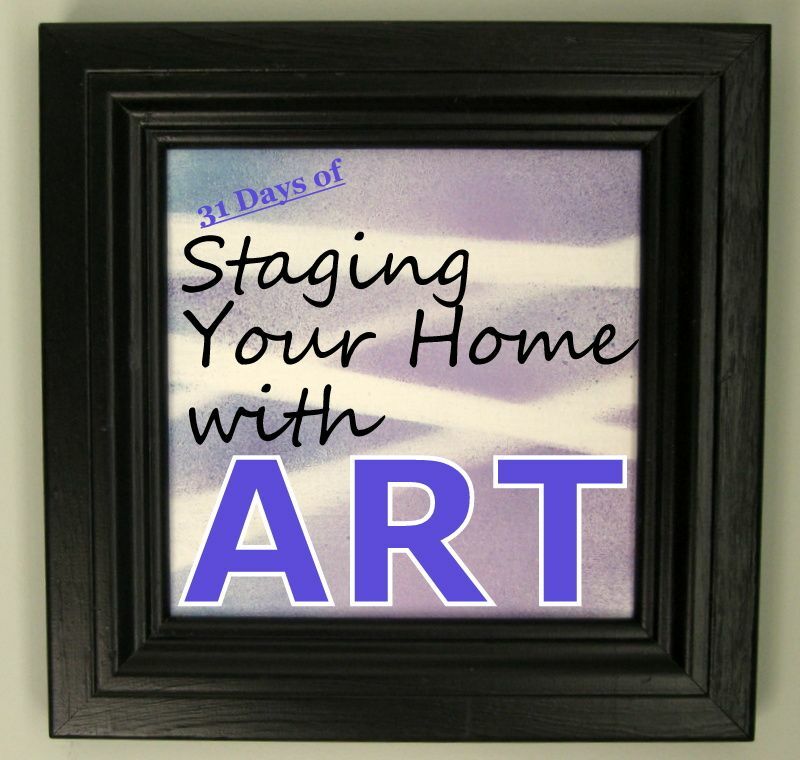 If you follow the tips and tutorials I’ll be offering in the following weeks, your home will be beautifully and effectively staged to sell, with help from wall art. My $4.99 eBook, DIY Home Staging Tips to Sell Your Home Fast and for Top Dollar is the go-to text for staging your own home.